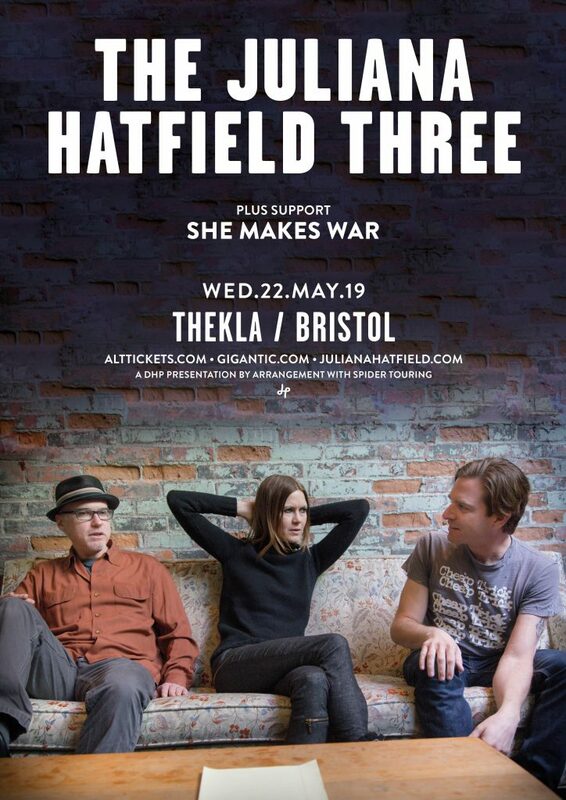 She Makes War | Gig alert: two shows with The Juliana Hatfield Three in May 2019! Blog : Gig alert: two shows with The Juliana Hatfield Three in May 2019! Her back catalogue spanning The Blake Babies, solo work as Juliana Hatfield and Juliana’s Pony plus trio The Juliana Hatfield Three is all worth your time (not to mention her ace bass and vocal work with The Lemonheads), but if you’re just getting started check out some of my absolute favourites – the hilarious/chilling anti-Trump tirade “Pussycat”, acoustic album “Peace and Love”, “Total System Failure” and the classic JH3 debut “Become What You Are”. I’ve dreamed of seeing her play live for YEARS, so to be on the bill is something else! I can only hope to make as far reaching a musical world as JH already has, hence commencing work on SMW5 in early January – I have a lot of ground to make up! Hope to see you at these shows! Oh that’s so amazing for you and your band! Overjoyed, thrilled. Already got tickets for Birmingham so live in hope for there too! Juliana Hatfield is ultimately the most versatile, consistently important and prolifically wonderful artist ever (all guises), so thrilled to discover that you’re an ardent fan too. Interesting, will you be solo or with your band? I’ve only seen you with your band so can’t compare. Generally I prefer seeing bands and it’s a long way for me, expensive train tickets with an overnight stay. A long way from home but I need nice things in my diary as an antidote to the brexit crap.